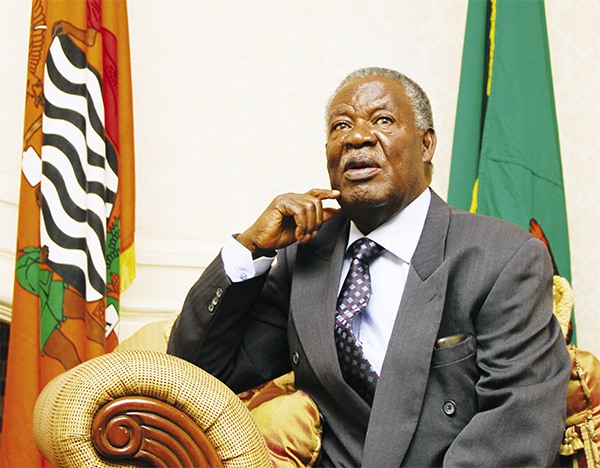 A YEAR has elapsed and our country has lived without you our Michael Chilufya Sata. You still live in the minds and conscience of the majority poor and humble and as Moshood Abiola once said, you will live forever. English writer HG Wells once said that the greatness of any human being is judged by what he leaves behind to glow and grow and when those inspiring words were chronicled, little did the people know that the words would one day fit into the description painting the Michael Sataâ€™s true picture. A man so humble, kind and interestingly very forgiving. We all know that Michael Sata was human flesh and blood and bound to make mistakes just like you and me. However, we all saw who started his life on a very low note from a very humble background in Mpika. I thank God that I saw this man work for the public as governor of Lusaka, Minister of Health and later as Minister Without Portfolio. I am also proud that I saw him serve as a force in the opposition for a period of more than 10 years giving checks and balances to those who walked in the corridors of powers. Rest in peace MCS, one of the humblest personalities I have ever known.